The agreement follows the global bank becoming an International Paralympic Committee (IPC) international partner in December. Citi agreed to back 18 National Paralympic Committees (NPCs) in the build-up to Tokyo 2020 and major events such as World Championships. Australia were among the nations earmarked to benefit, along with Chinese Taipei, Colombia, Costa Rica, Britain, Hong Kong, India, Indonesia, Ireland, Malaysia, Mexico, Nigeria, Philippines, Poland, Singapore, South Africa, Thailand and the United Arab Emirates. The deal will initially run through until 2020 and continues Citi's involvement in the Paralympic Movement, which began in 2012 when they sponsored the United States team. The formalised partnership between Paralympics Australia and Citi comes shortly after a similar agreement was announced between the company and the British Paralympic Association. Paralympics Australia chief executive Lynne Anderson welcomed Citi’s support. "We are delighted that Citi has joined us on our road to Tokyo and we’re very gratified to have such a well-respected global brand join our Australian Paralympic family," she said. "Citi has been involved in the Paralympic movement for quite some time now. "They share with us a passion for cultivating an inclusive society through sport, as well as advocating strongly for social change and improving perceptions of disability. "It’s a great feeling to know we have the support of such a committed and active partner to help us promote our incredible Paralympians, and we’re looking forward to sharing with them the highs and lows of our journey to Tokyo over the next 500 days." 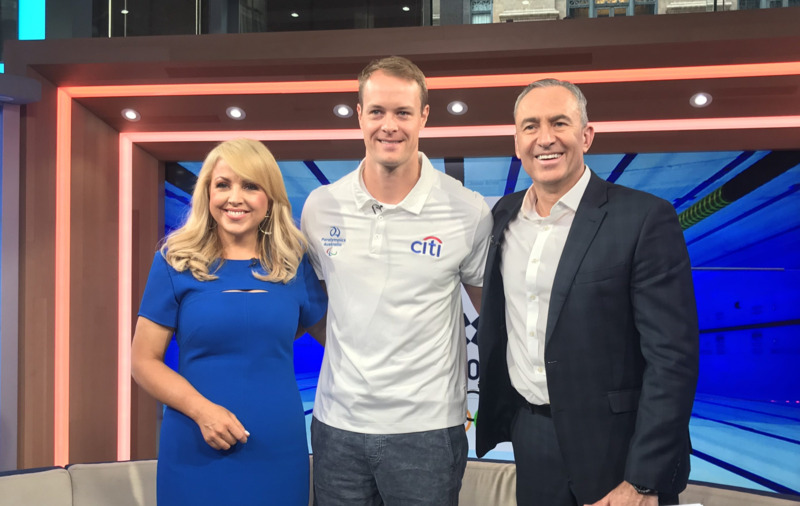 In addition to the sponsorship, Citi has have named two Australian athletes as ambassadors, who will seek to promote the Paralympic Movement. Three-time Paralympian Madison de Rozario from athletics and Paralympic canoeing gold medallist Curtis McGrath will serve as the ambassadors. Citi last year served as a partner for the Wheelchair Rugby World Championships in Sydney, the Asian Para Games, and the European Para Swimming Championships. Luke Randell, chief executive of Citi Australia, claimed the partnership highlighted the company’s aim of help create a diverse and inclusive society. "Citi’s mission is to enable growth and progress, and this is exactly what the Paralympics does," he said. "It is an incredible platform to showcase the abilities of Para-athletes, and Citi couldn’t be prouder to be a sponsor of this event and support Madison and Curtis." Citi is one of three international partners of the IPC, which is the level below the top-tier Worldwide Paralympic Partners sponsorship programme. Allianz and BP are other companies at this level. The 2020 Paralympic Games in Tokyo are due to take place from August 25 to September 6.